What is Vanilla Extract (vanilla essence)? Vanilla extract is a solution made by macerating and percolating vanilla pods (beans) in a solution of ethanol and water. It’s also referred to as vanilla essence. The beans come from the orchid species, Vanilla planifolia. The extract is a complex mixture of several hundred different compounds, including vanillin, acetaldehyde, acetic acid, furfural, hexanoic acid, 4-hydroxybenzaldehyde, eugenol, methyl cinnamate, and isobutyric acid. It has a pure spicy and delicate flavour, that cannot be synthesized in a laboratory. 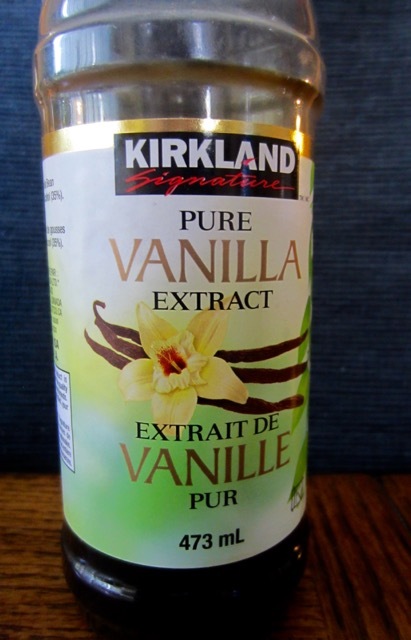 Synthetic vanilla extract, made from synthetic vanillin, can be up to 20 times cheaper but will never taste and smell like the real vanilla because the real vanilla is made up of natural vanillin and several hundred different compounds. The Synthetic extract consists of a solution of synthetic vanillin in ethanol. Madagascar, Comoro Island and Reunion produce about 80% of the world vanilla output. Next What is Sour Cream?